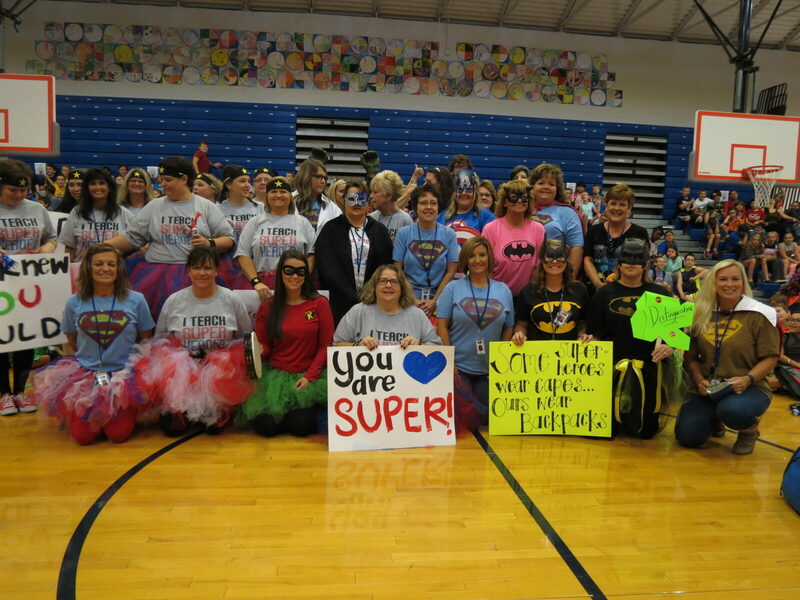 Teachers in tutus ringing cowbells, Batman leading the morning assembly, and the Incredible Hulk directing the car rider traffic…not your typical Thursday morning at Adair County Elementary! There is certainly a reason for ACES to be celebrating in such an epic way. This is the first time an Adair County school has ranked as “Distinguished” based on the 2016-2017 KPREP test scores. However, due to the legislative changes to the accountability system with the passing of Senate Bill 1 (2017), schools are not categorized the same way. As a result, you won’t see the “Distinguished” label on the school report card of Adair County Elementary. However, had there not been a change to the accountability system, ACES would have been stamped with the “Distinguished” label. 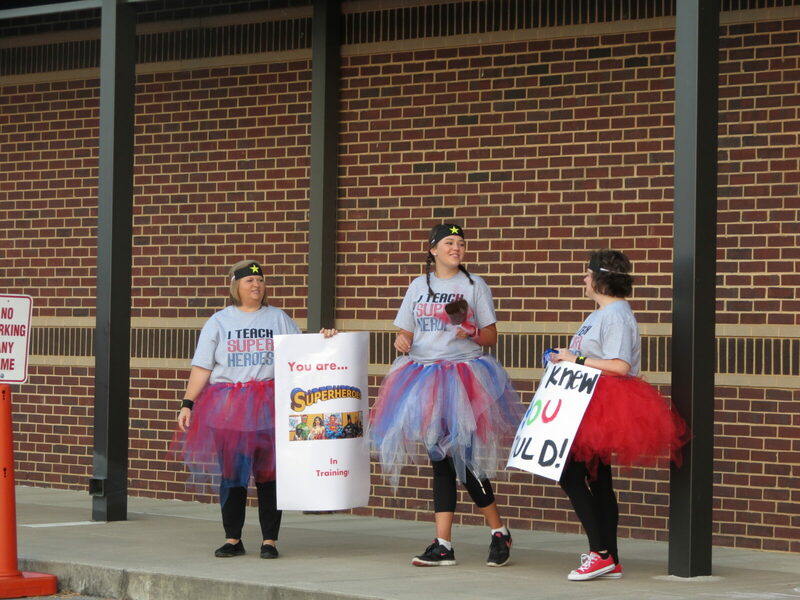 ACES teachers wanted to make sure the students were rewarded for their achievement. So, they decided to dress as superheroes! They wanted to send the message to students that they are truly heroes, and their special power is hard work and determination!